You don’t have to deal with squinting your eyes to see the computer or TV. You don’t have to be roasted by the afternoon sun filtering in through the windows. Annoying glare and harmful UV rays can both be mitigated with a single installation of window film. John Barnes Window Tinting works to install window tinting throughout the greater Miami area to help lower levels of harmful UV rays and reduce glare significantly. Glare can be one of the most annoying elements of an office or home. Watching TV, doing research on a computer, or just trying to make a call on a smartphone is made much more difficult by the glare that can come through your windows. 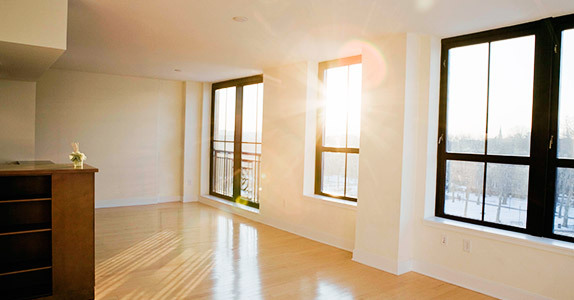 Window film is able to help reduce glare and unwanted light while leaving views intact. For individuals with any conditions that include light sensitivity, window tinting is a great solution. With more than 25 years of experience, John Barnes Window Tinting is able to install different colors and strengths of window film. Residential or commercial, any building can easily be improved to reduce glare. Even more importantly, window tinting helps reduce UV radiation by 99 % and 90 to 97% of infrared radiation. In fact, the Skin Cancer Foundation actually recommends the use of window film to help reduce the harmful affects the sun. With such a high level of reduction in UV radiation, installation of window film is a healthy solution for those who are subject to excessive sunlight through windows for a large portion of the day. John Barnes Window Tinting installs tinting to meet exact client needs, no matter how large or small. To adapt to fit more client needs, we offer a variety of colors and tinting strengths that help reduce both glare and UV radiation.